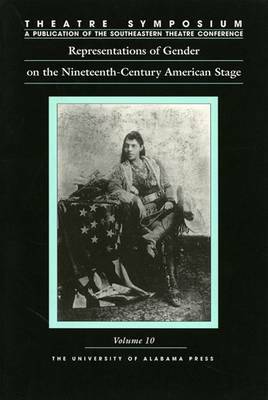 This collection of essays explores the various ways that ""maleness"" and ""femaleness"" were depicted on stage and influenced theatre in the Victorian era. Although both the masculine and feminine were guarded and contested categories throughout the 19th century, it was the image of ""woman"" and what constituted the sanctioned performance of that social role that dominated much of Victorian culture. The actress in particular, as a ""public"" woman, was expected to conform to a kind of ""moral performance"", merely because of her gender. In this volume, theatre scholars discuss and debate this perception of appropriate gender roles, both on and off the stage. They address the issues and icons contained in little-known scripts and familiar melodramas; they examine the intersection of both the public and private lives of overlooked and popular performers; and they compare the convention of cross-dressing in both legitimate and illegitimate venues. The volume concludes with an excerpted transcript of a discussion of the symposium topic by guest speakers Susan Stockbridge Cole, Elizabeth Reitz Mullenix, and Lisa merrill.